Heavymech were involved in the repair of the primary jaw crusher at Adelaide Brighton Cement’s Angaston cement works in 2014. 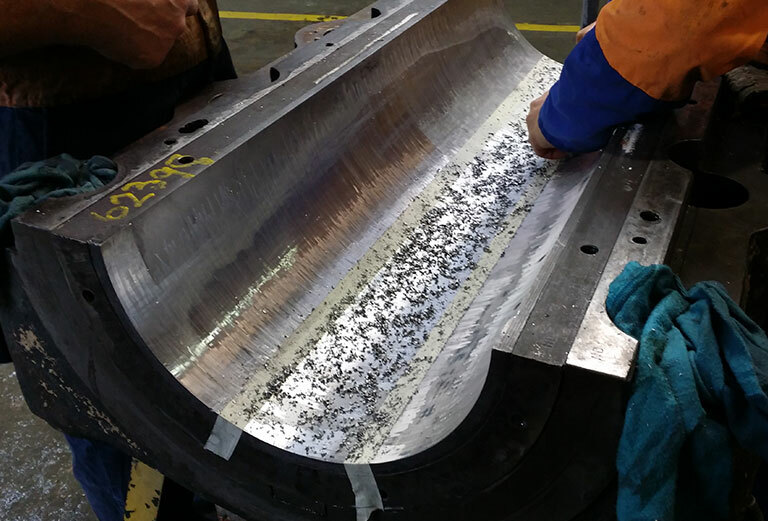 The work scope involved machining of white metal bearings and the subsequent scraping and bluing of the bearings in situ. Heavymech also assisted with the assembly and commissioning of the crusher. Heavymech provided a 24 hour “around the clock” service to meet the client’s needs. Over the last few years, Vince and the team at Heavymech have assisted us in a number of critical equipment rebuilds at our Angaston Cement Works. The work has typically involved a combination of on-site and workshop based activities. The work has occurred during planned shutdown situations and in unplanned breakdown events. In most cases the ABC requirement and expectation has been that the work is carried out “round the clock” to minimise interruption to out 24/7 operation. 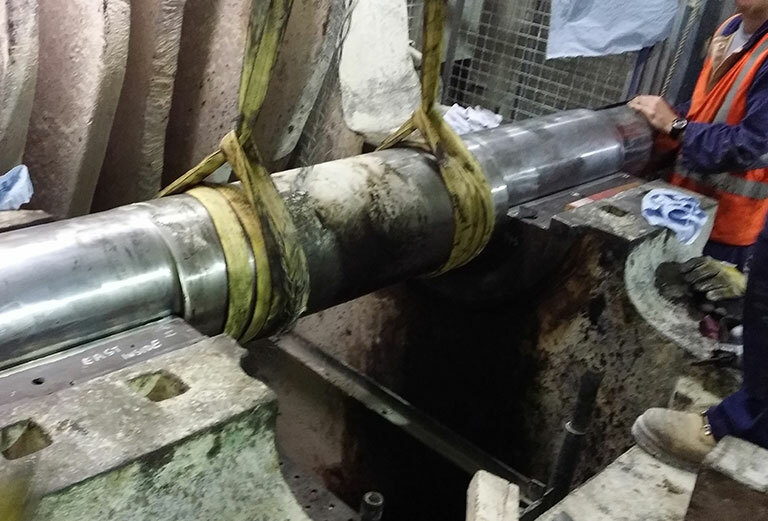 Replacement of a worn white metal trunnion bearing on Raw Mill 2. This job needed to be completed within a tight timeframe, during a Shutdown. The job required specialist skills associated with the installation of white metal bearings. Heavymech worked 12 hr shifts to dismantle and remove the worn white metal bearing (on site), machine the correct clearances into a replacement bearing (in their workshop), and re-install the replacement bearing which involved bluing/scraping of the white metal to achieve correct fitment to the trunnion. The job was completed in a safe manner, on time, and within budget. 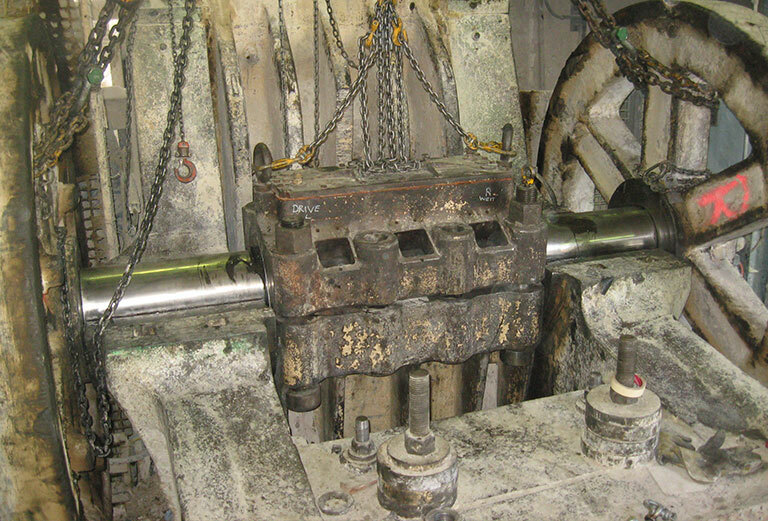 A failure of a main bearing on the Angaston Jaw Crusher occurred in May 2014. 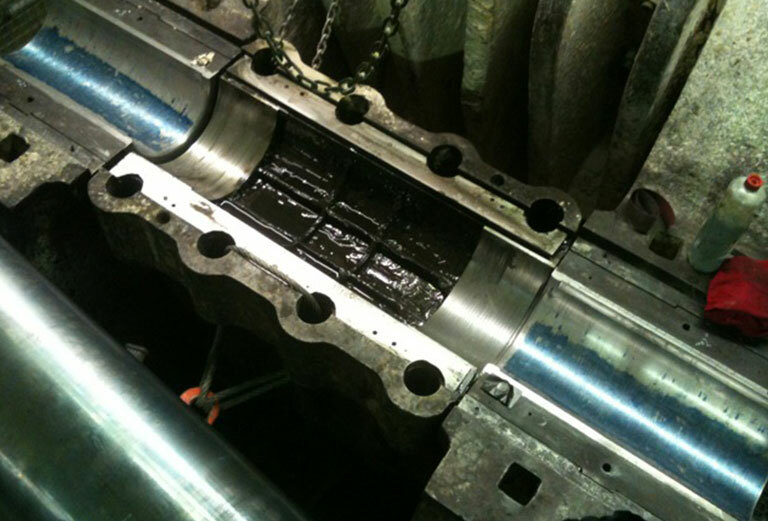 A breakdown repair was required to replace the damaged bearing and shaft assembly. 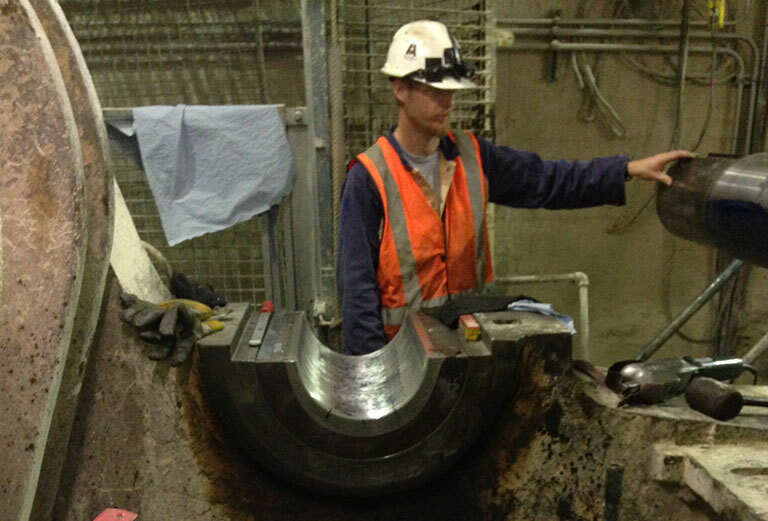 Heavymech provided resources (during day and night shifts) to dismantle the crusher shaft assembly, fit flywheels to a new shaft, machine clearances into replacement bearings and caps, and assist with site re-assembly of the crusher including scraping and bluing of the new bearings. We have built up a very good working relationship with Heavymech, who have not let us down! Heavymech have proven that they will strive to meet our needs and will deliver on the commitments they make. There is a very good level of communication throughout every job, which ensures there are no surprises regarding cost, timing or quality.